Easily setting up realistic non-production (e.g. dev, test, QA, etc.) environments is really critical in order to reduce the feedback loop. In this blog post, I want to talk about how you can achieve this if your application relies on MongoDB Replica Set by showing you how to set it up with Docker for non-production environments. Hold on! I want to watch, not read! What are we trying to do here and why? If you have an application which works against a MongoDB database, it’s very common to have a replica set in production. This approach ensures the high availability of the data, especially for read scenarios. However, applications mostly end up working against a single MongoDB instance, because setting up a Replica Set in isolation is a tedious process. As mentioned at the beginning of the post, we want to reflect the production environment to the process of developing or testing the software applications as much as possible. The reason for that is to catch unexpected behaviour which may only occur under a production environment. This approach is valuable because it would allow us to reduce the feedback loop on those exceptional cases. Docker makes this all easy! This is where Docker enters into the picture! 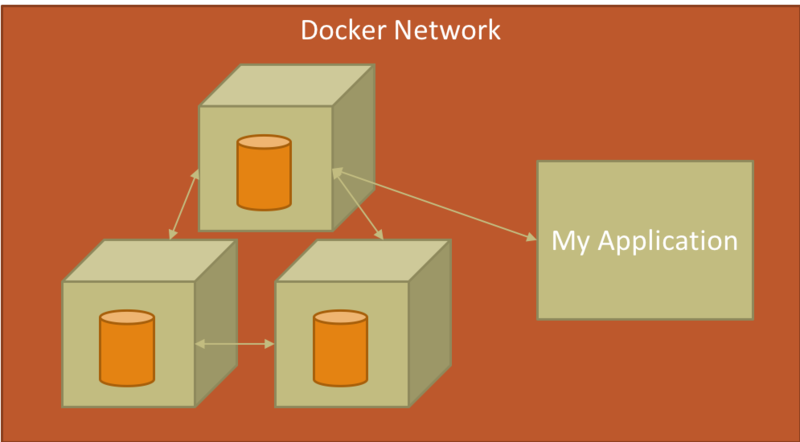 Docker is containerization technology and it allows us to have repeatable process to provision environments in a declarative way. It also gives us a try and tear down model where we can experiment and easily start again from the initial state. Docker can also help us with easily setting up a MongoDB Replica Set. Within our Docker Host, we can create Docker Network which would give us the isolated DNS resolution across containers. Then we can start creating the MongoDB docker containers. They would initially be unaware of each other. However, we can initialise the replication by connecting to one of the containers and running the replica set initialisation command. Finally, we can deploy our application container under the same docker network. It can be automated easily. This is especially crucial for test environments which are provisioned on demand. It’s repeatable! The declarative nature of the Dockerfile makes it possible to end up with the same environment setup even if you run the scripts months later after your initial setup. First of all, I need to create a docker network. I can achieve this by running the "docker network create” command and giving it a unique name. 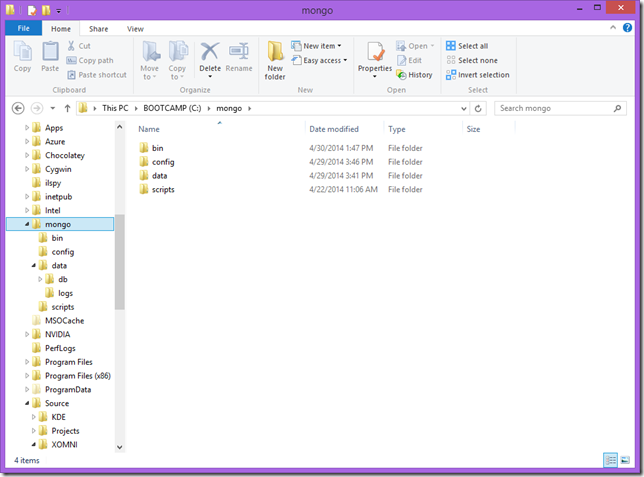 The next step is to create the MongoDB docker containers and start them. I can use “docker run” command for this. Also, MongoDB has an official image on Docker Hub. 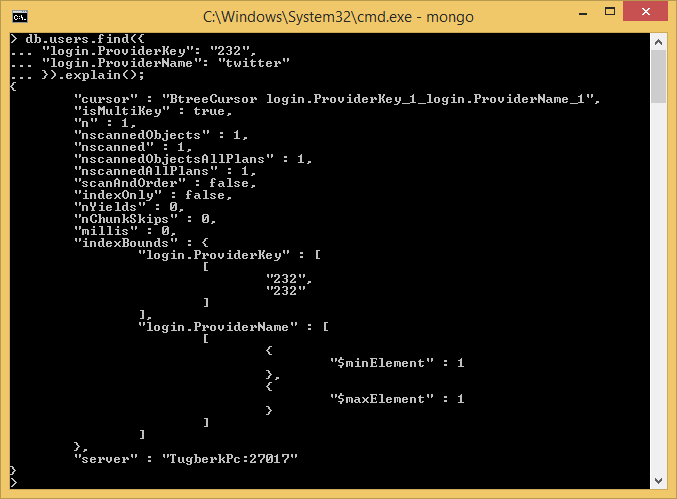 So, I can reuse that to simplify the acqusition of MongoDB. For convenience, I will name the container with a number suffix. The container also needs to be tied to the network we have previously created. Finally, I need to specify the name of the replica set for each container. 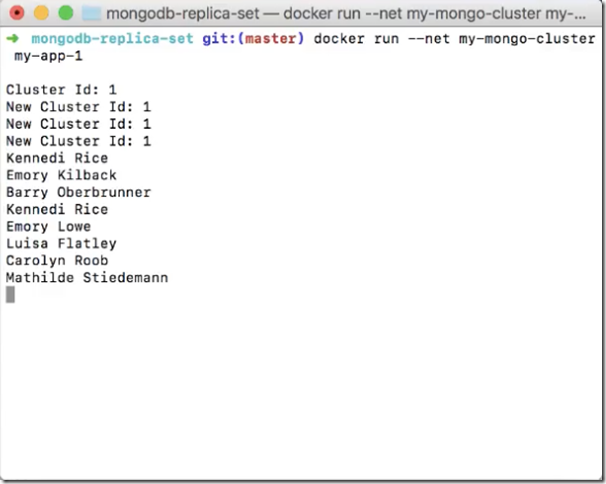 docker run --name mongo-node1 -d --net my-mongo-cluster mongo --replSet “rs0"
First container is created and I need to run the same command to create two more MongoDB containers. The only difference is with the container names. 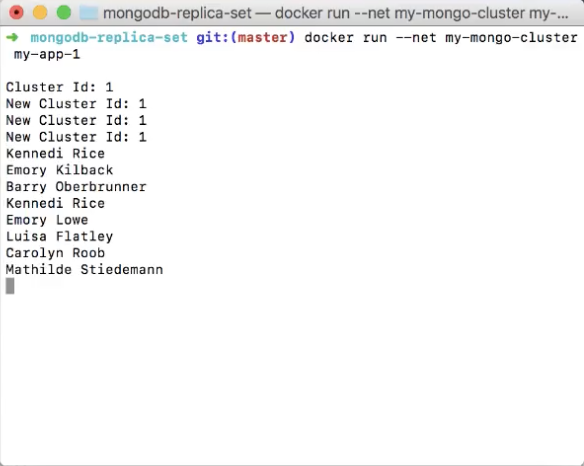 docker run --name mongo-node2 -d --net my-mongo-cluster mongo --replSet "rs0"
docker run --name mongo-node3 -d --net my-mongo-cluster mongo --replSet “rs0"
I can see that all of my MongoDB containers are at the running state by executing the “docker ps” command. In order to form a replica set, I need to initialise the replication. I will do that by connecting to one of the containers through the “docker exec” command and starting the mongo shell client. As I now have a connection to the server, I can initialise the replication. This requires me to declare a config object which will include connection details of all the servers. Finally, we can run “rs.initialize" command to complete the set up. You will notice that the server I am connected to will be elected as the primary in the replica set shortly. By running “rs.status()”, I can view the status of other MongoDB servers within the replica set. We can see that there are two secondaries and one primary in the replica set. The csproj file for this application looks like below. In order to demonstrate the effect of the replica set, I want to take down the primary node. First of all, we need to have look at the output of rs.status command we have previously ran in order to identify the primary node. We can see that it’s node1! Secondly, we need to get the container id for that node. Finally, we can kill the container by running the “docker stop command”. Once the container is stopped, you will notice that application will gracefully recover and continue reading the data. I have put together a library, MongoDB.Testing, which makes it easy to stand up a MongoDB server, create a random database and clean up the resources afterwards. Here is how you can start using it. Considering the applications we produce today (small, targeted, "micro" applications), I value integration tests way more than unit tests (along with acceptance tests). They provide much more realistic testing on your application with the only downside of being hard to pinpoint which part of your code is the problem when you have failures. 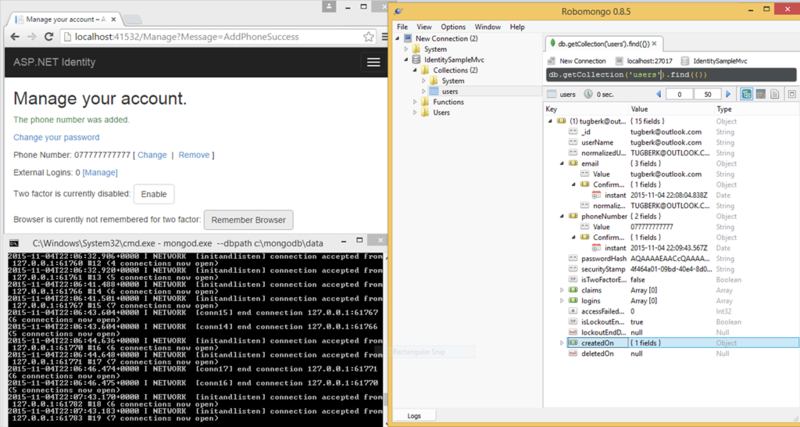 I have been writing integration tests for the .NET based HTTP applications which use MongoDB as the data storage system on same parts and I pulled out a helper into library which makes it easy to stand up a MongoDB server, create a random database and clean up the resources afterwards. 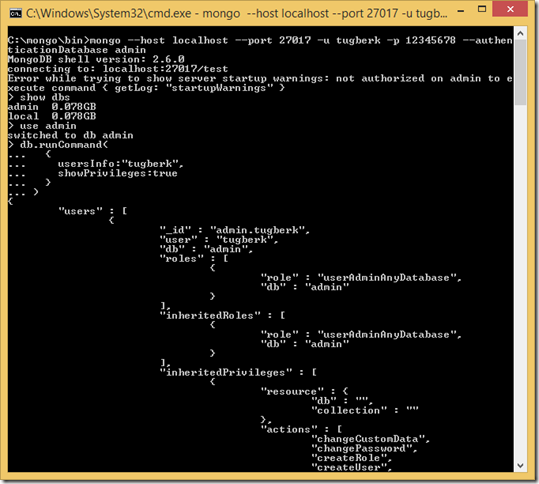 The library is called MongoDB.Testing and it’s on NuGet, GitHub. Usage is also pretty simple and there is also a a few samples I have put together. 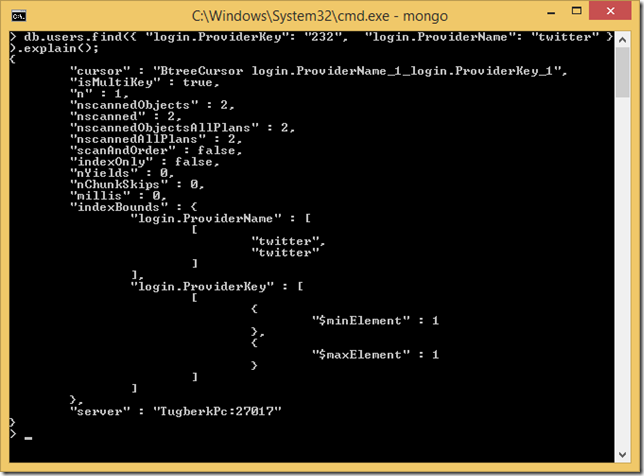 Start a mongod instance and expose it through the specified port. 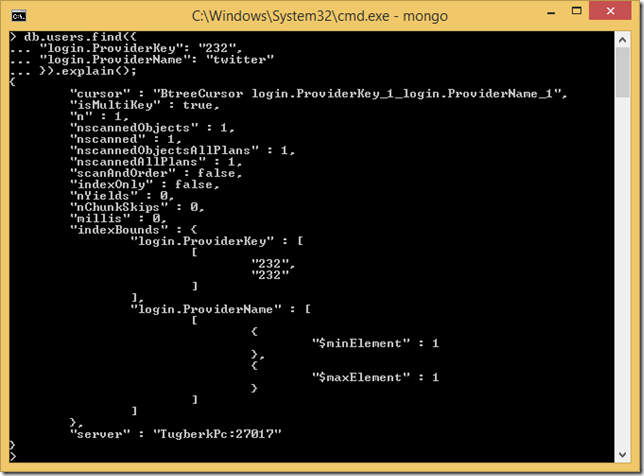 Creates a randomly named MongoDB database on the started instance and exposes it through the MongoTestServer instance returned from MongoTestServer.Start method. 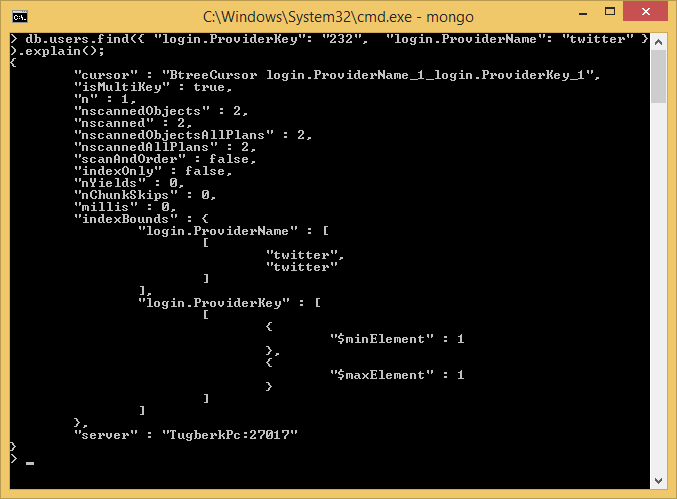 Cleans up the resources, kills the mongod.exe instance when the MongoTestServer instance is disposed. If you are doing a similar sort of testing with MongoDB, give this a shot. I want to improve this based on the needs. So, make sure to file issues and send some lovely pull requests. ASP.NET Identity will have a new version with ASP.NET 5 which is going to be version 3.0.0 and I gave it shot to implement ASP.NET Identity MongoDB data store. Library is available on NuGet as Dnx.Identity.MongoDB package and it supports beta8 runtime release. For now, it’s part of a sample project I am working on but it will probably make it into its own repository soon. I also have a sample here which is the fork of the original Identity sample. You can look at this commit to see what I had to do to make it support my custom provider which is not that bad, if you ignore the dependency injection dance I had to make. That’s because my implementation of ASP.NET Identity library doesn’t support IRoleStore. Don’t worry, you will not need this as you already have IUserClaimStore and also, there is an open issue to change the dependency injection hook a bit so that the IRoleStore would be optional. Currently, there is no documentation. MongoUserStore is thread safe. You can register this as a singleton. At the moment, there is no logging and nice exception handling for the implementation. The implementation only supports dnx452 or above and it doesn’t support corefx as MongoDB .NET Client has no support for that. The library doesn’t support SetUserNameAsync as the user name is also the Id of the user. So, you cannot change the Id. The implementation requires you to pass an implementation of IMongoDatabase through the constructor and it persists data into a collection which is named "users". There is going to be a way to change the name of the collection soon in upcoming releases. 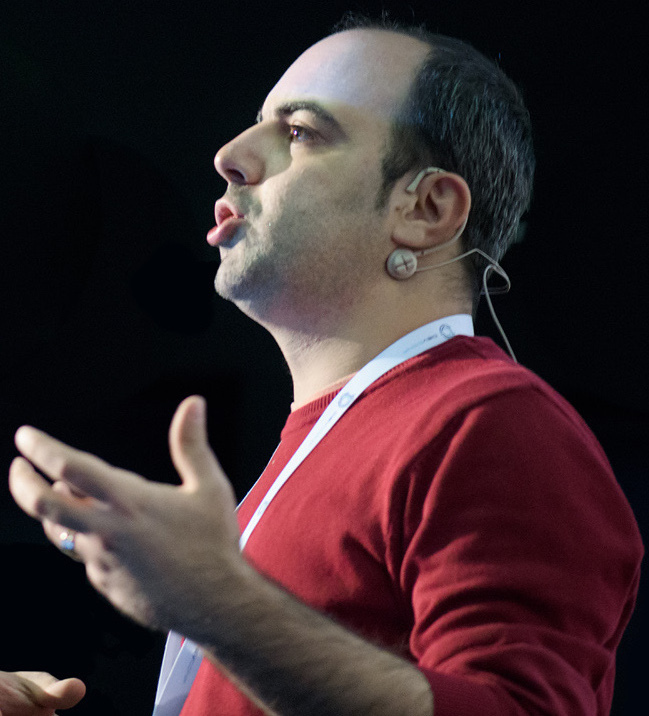 E-mail uniqueness is ensured through a unique MongoDB index. However, this will not function properly if you shard the users collection. The implementation doesn’t persist changes unless you call one of the UpdateAsync, CreateAsync or DeleteAsync methods (which is what UserManager does). My MongoDb journey continues :) and I had my first attempt to put a username and password protection against a MongoDB instance. It went OK besides some hiccups along the way :) Let's see what I did. I’m all there and I can see what my privileges at the server with this user are. 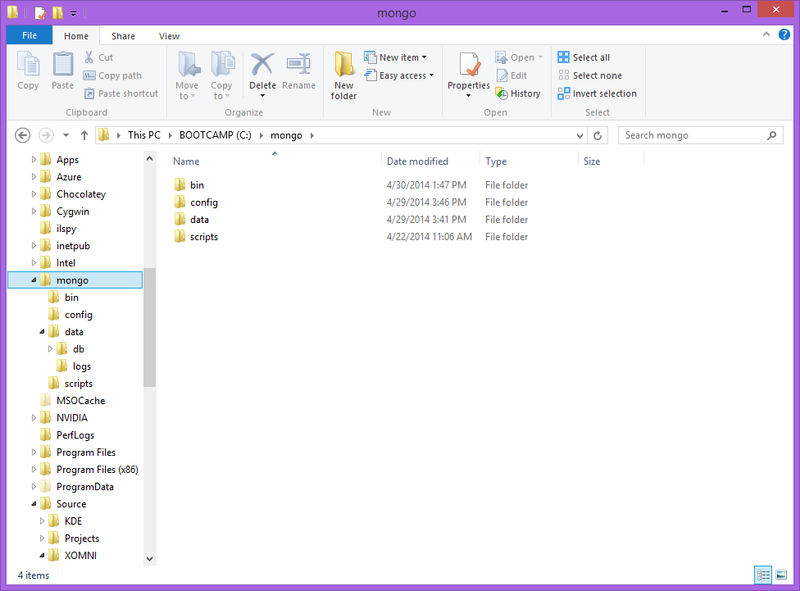 If you try to connect to this MonogDB server anonymously, you will see that you are still able to connect to it. This’s really bad, isn’t it? Not at the level that you think it would be at. The real story is that MongoDB still allows you to connect to, but you won’t be able to do anything as the anonymous access is fully disabled. The bad thing here is that your server existence is exposed which is still an important issue. Just be aware of this fact before getting started. Order of Fields Matters on MongoDB Indexes. Let's see how with an example. As my MongoDB journey continues, I discover new stuff along the way and one of them is about indexes in MongoDB. Let me try to explain it with a sample. Boom! Only one document was scanned. This shows us how it’s important to put the fields in right order for our queries.